Mexicom Logistics has over 14 years of experience providing reliable Less Than Truckload shipping services between the USA, Canada, and Mexico. We offer high-quality LTL solutions that suit our customer’s needs in terms of affordability and speed. If your priority is to save money in transportation costs or to reduce transit times, either way, our Less Than Truckload shipping services are the answer. Less Than Truckload shipping or LTL is the transportation of freight that combines shipments from multiple customers in a single truck. In other words, as every customer’s shipment does not require a full 48′ or 53′ trailer, the portion of the truck unused is filled up with another customer’s shipment. Each customer pays according to the type (class), amount, weight, size and density of shipment and the length of travel. Mexicom Logistics has a tailored LTL solution for you! If your priority is to obtain an affordable Less Than Truckload shipping, Mexicom Logistics is able to offer you a cost-effective solution without compromising the good quality of the service. Having over 14 years providing LTL services in North America, Mexicom Logistics has developed alliances with a wide variety of reliable carriers in Mexico, USA, and Canada. Among them, we choose the ones that offer the most affordable service to offer our customers a high-quality and cost-effective LTL shipping. 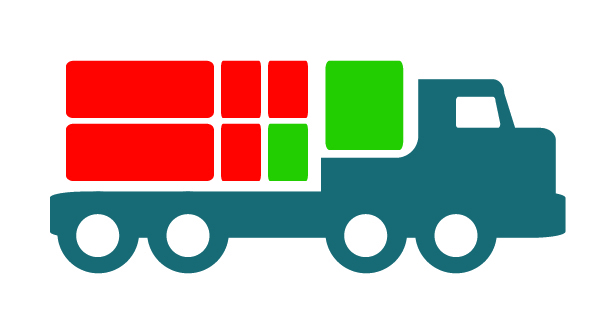 The LTL shipment is identified by a class (or number) that indicates the type of product. Thus, it is very important to find the correct class for your shipment, otherwise, you could end up paying more than you should. It is simple: the lower your class, the lower the price. Our logistics coordinators have the expertise to provide you with a low cost Less Than Truckload Shipping just by classifying the load correctly. Finally, if your priority is to save money, we can fit a solution in which your cargo takes longer to reach its final destination – because your shipments make several stops- but in which you save a lot of money. 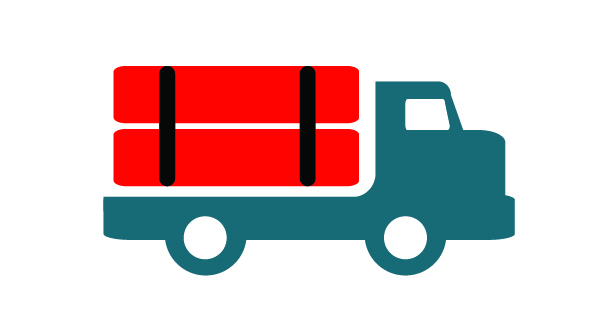 The reason why Less Than Truckload or LTL shipping is generally slower than Full Truck Load shipping is that LTL shipments often make several stops before they arrive at their final destination. By reducing the stops, combining shipments with very similar routes, Mexicom Logistics is able to provide LTL shipping services with shorter transit times. This is an option for large shipments that do not require a full truck. Partial Truckload Shipments offer faster transit times because the shipment stays on one truck for the whole duration of the transit. Therefore, the freight is loaded and unloaded just one time, instead of being unloaded and loaded in several stops, which consumes precious time. Second, we have over 14 years of experience offering reliable and affordable Less Than Truckload Shipping services between Mexico, the USA, and Canada. 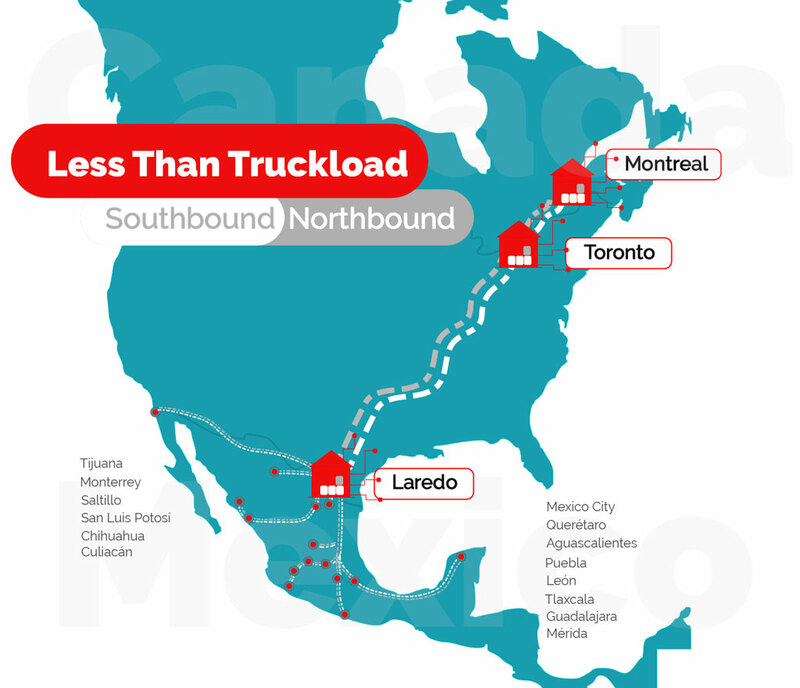 In other words, we can offer you the most efficient and reliable Less Than Truckload Shipping Services between Canada, the USA, and Mexico. A USA-Mexico cross-border LTL shipping experience hassle free! No one knows better the USA-Mexico cross-border freight transportation than Mexicom Logistics. We not only understand the language and the culture but also we master the process. This includes the documents, times and other requirements. As a result, we can guarantee our customers a Less Than Truckload cross-border shipping experience hassle-free. The border crossing for the transportation of merchandise between the United States and Mexico is one of the busiest in the world. Its geopolitical position, the type of goods that are transported and the high cross-border control, make the transportation of merchandise across the border of Mexico and the USA complex. To understand the fundamentals of the USA-Mexico shipping process, we invite you to read our blog post on this topic, click here. Door-to-Door transportation to and from any point between Canada, USA and Mexico. The lowest rate on flatbed shipments across Canada, the USA, and Mexico. Oversized and overweight shipments crossing the Canada-USA and USA-Mexico borders.